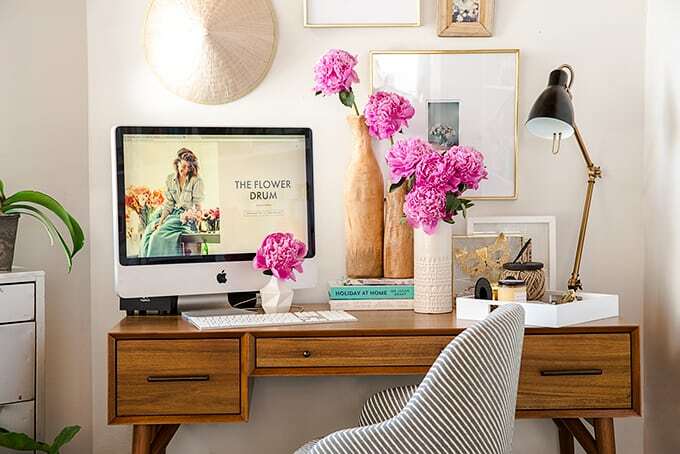 If you work from home like I do, you know that there is nothing more frustrating and demotivating like a disorganized, uncomfortable, and artless home office. 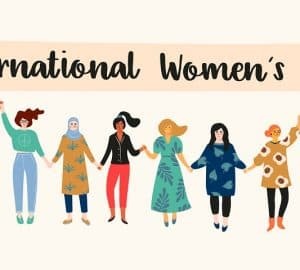 We can forgive a bit of messiness from time to time (I’m looking at some now), but a workplace that is devoid of all character and inspires nothing is unacceptable. You workplace must reflect you and, most importantly, must inspire you! 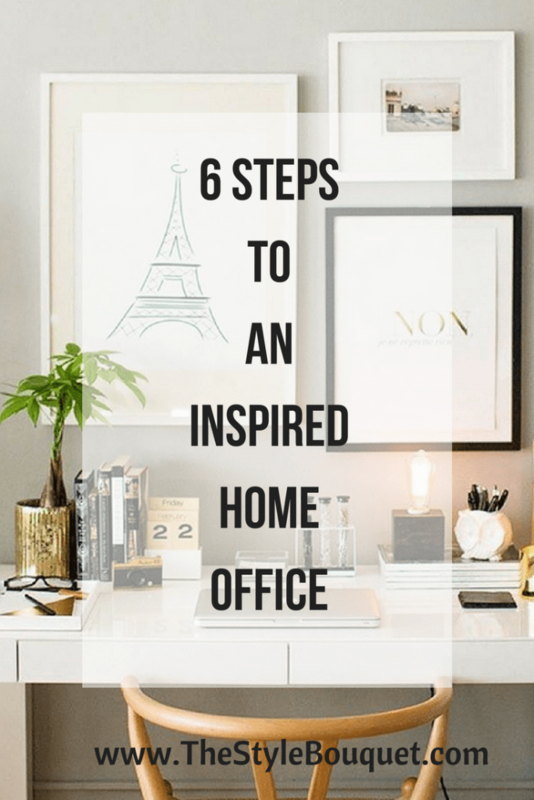 Along with the following six steps that I suggest that you take to get your home office in motivational mode, I am also including inspirational photos of different offices and desks to inspire you. I hope that it does the trick! 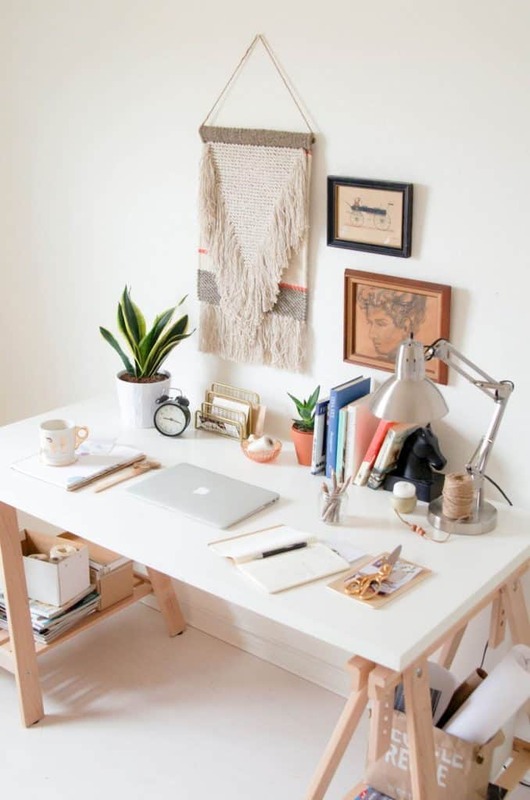 When deciding upon where to set up your workspace, pick a spot with lots of bright, indirect, natural light. 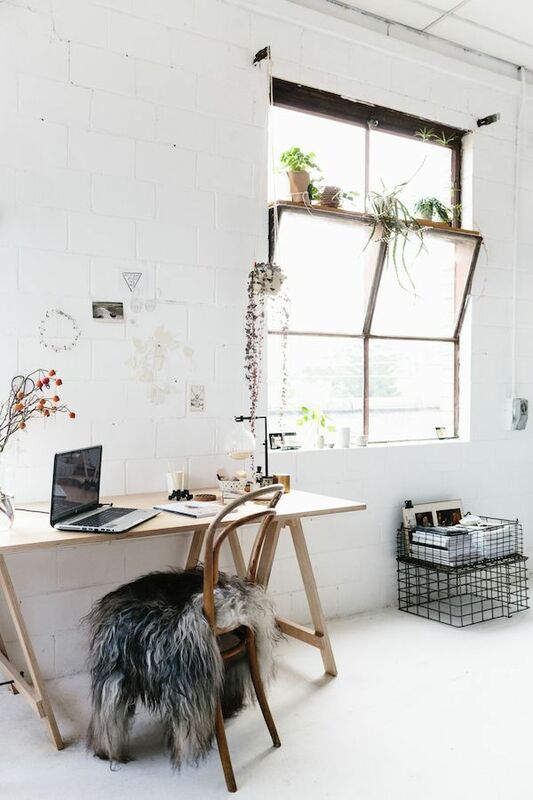 Ideally, your workspace would be near a window as long as the light isn’t glaring. A beautiful view would be a plus! Studies has shown that bright light improves mood and productivity. 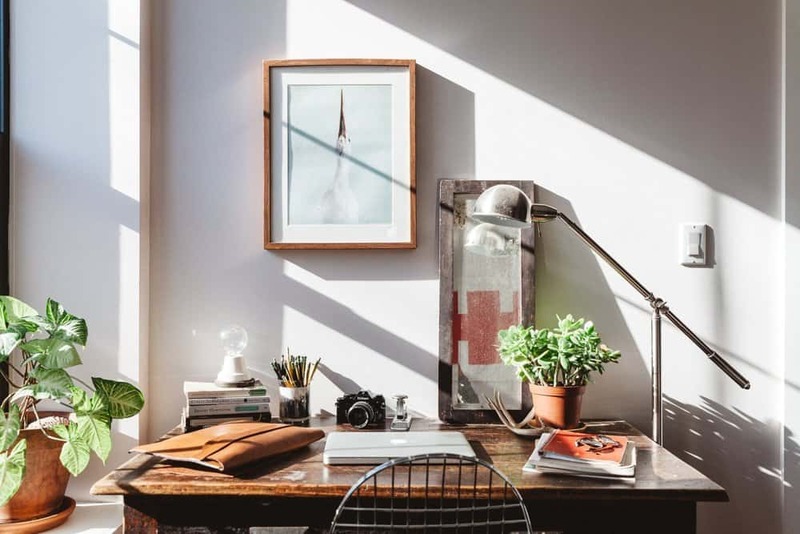 You’ll work better and feel better if you are near natural light. 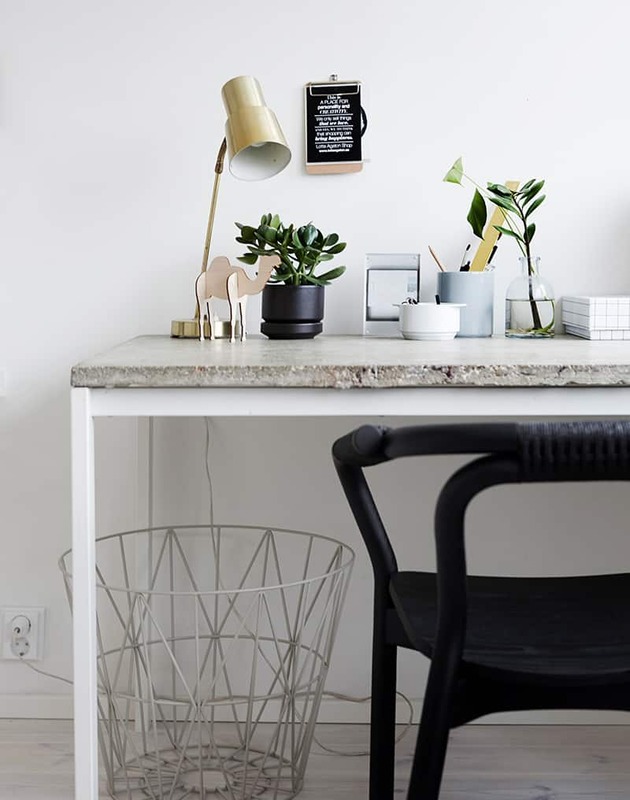 Whether you’re buying a brand new desk, upcycling an old one, or building one from scratch, you have several things to consider. Take into account the space it’s going to fit into, your surface space and storage needs, and the style you have in mind. Ergonomics are an important component as you’ll likely be spending a lot of time at your desk. For help, here’s A Quick Tip to Find Your Ideal Desk Height. 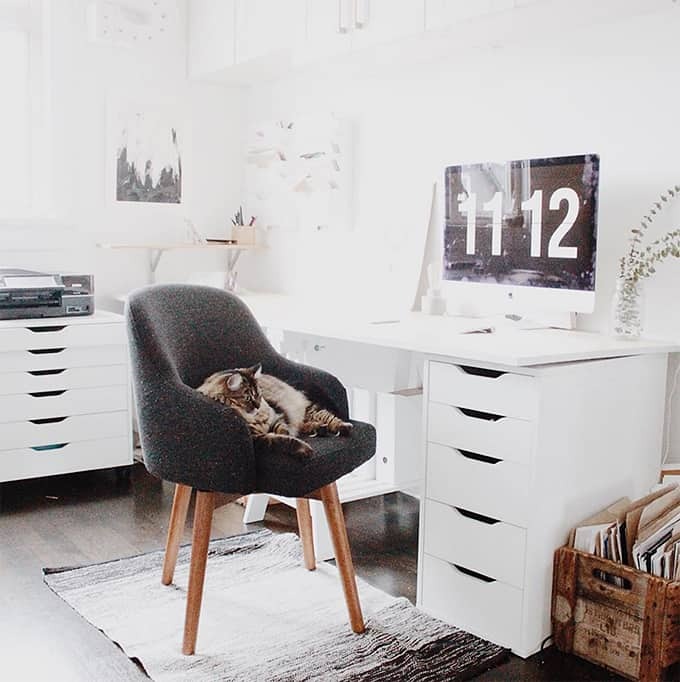 Having decided to no longer work from bed or the kitchen counter and to finally settle into a bona fide home office, you deserve a great chair. Choose one that weighs light but provides good back support. If you are stuck with a not-so-comfy chair, soften it with a cushion or throw. 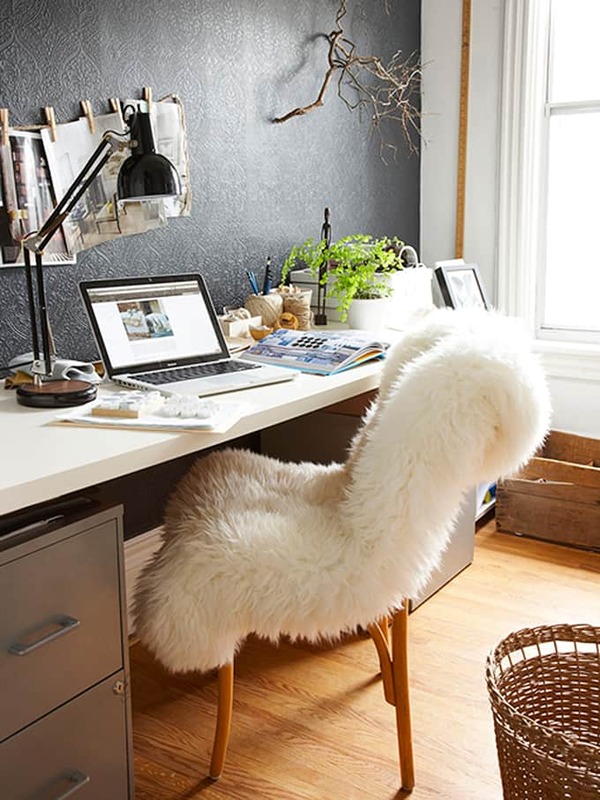 And if you have a chair that looks too “officey”, here’s a simple idea to help make your chair blend into your home. I’m not an organization expert, but what I do know is that everytime that I’ve cleaned out and gotten rid of things that I don’t use or rarely use, it’s made it so much easier to organize what items are left. So go ahead and purge that growing pile of magazine clippings that are inspiring nothing but dust. Purge before you decide on wall shelves and other organizational supplies. 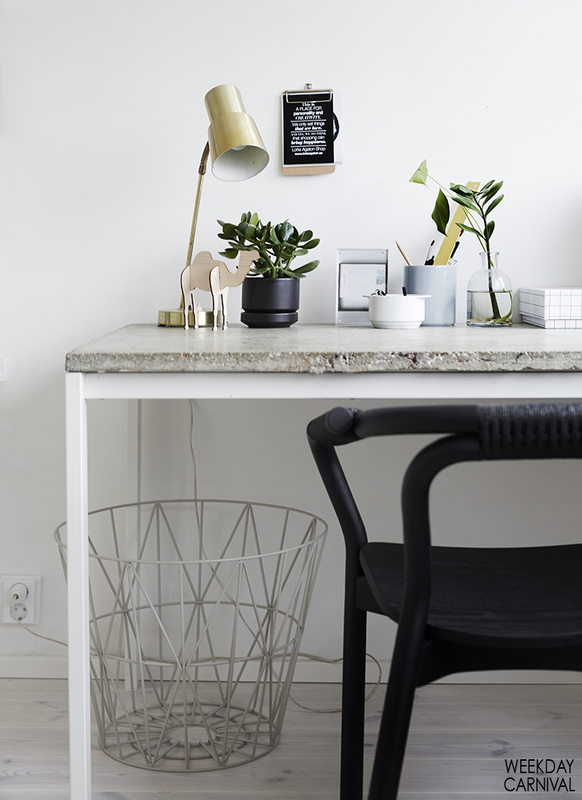 Organizing your home office will be much simpler if you do. 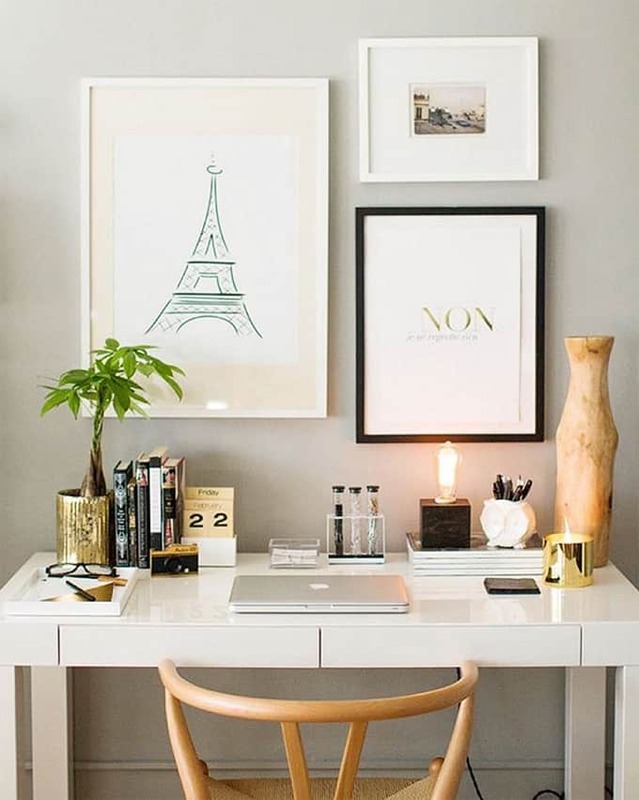 Don’t forget to liven up your workspace with some inspiring art and objects that you love. Curate them well and let them remind you of why you do what you do. This is especially true when your work is your life, and because sometimes, even the work you love can feel like work. 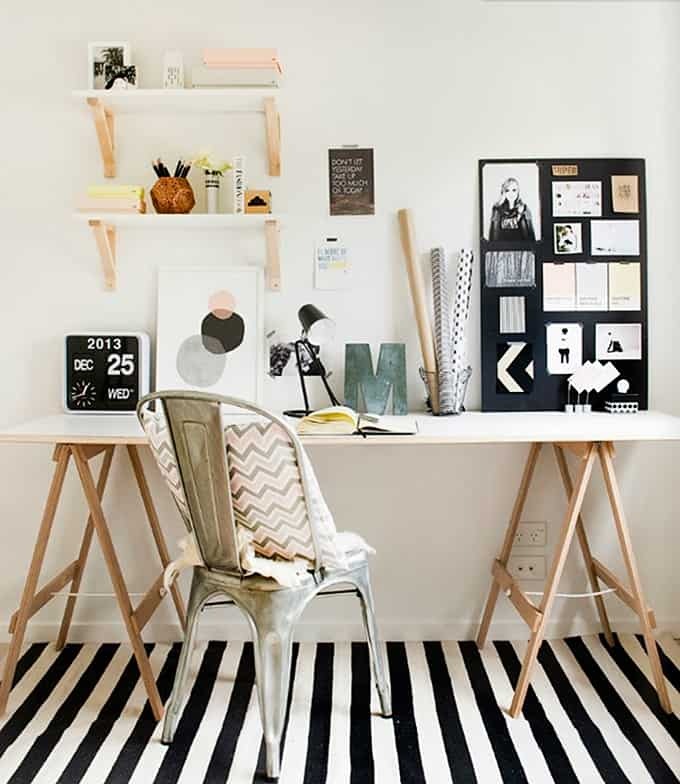 For more inspiration, visit TopReveal.com’s article “28 Home Office Decorating Ideas Designed to Make Work Fun”. 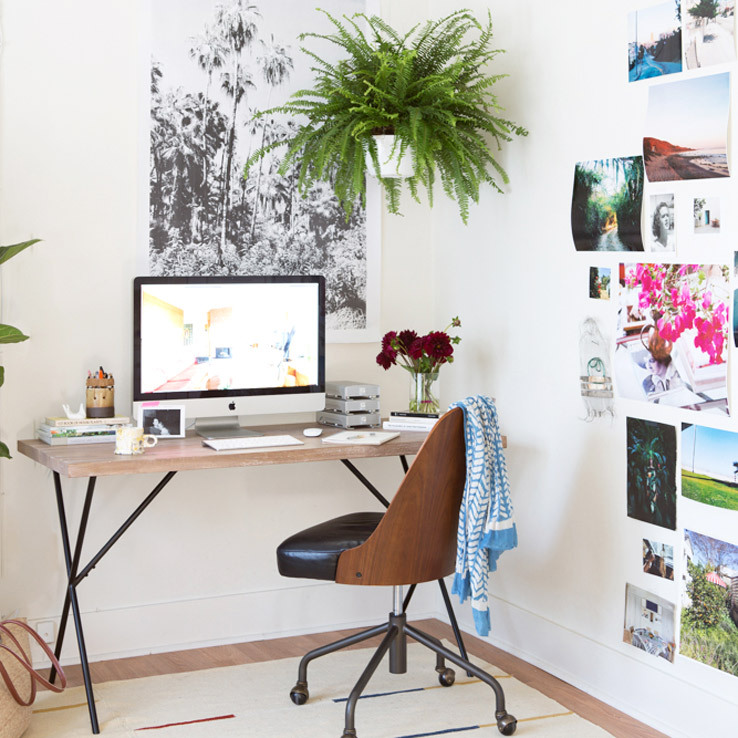 What inspires you about your home office? 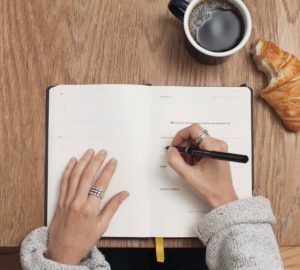 Do any of these tips inspire you? 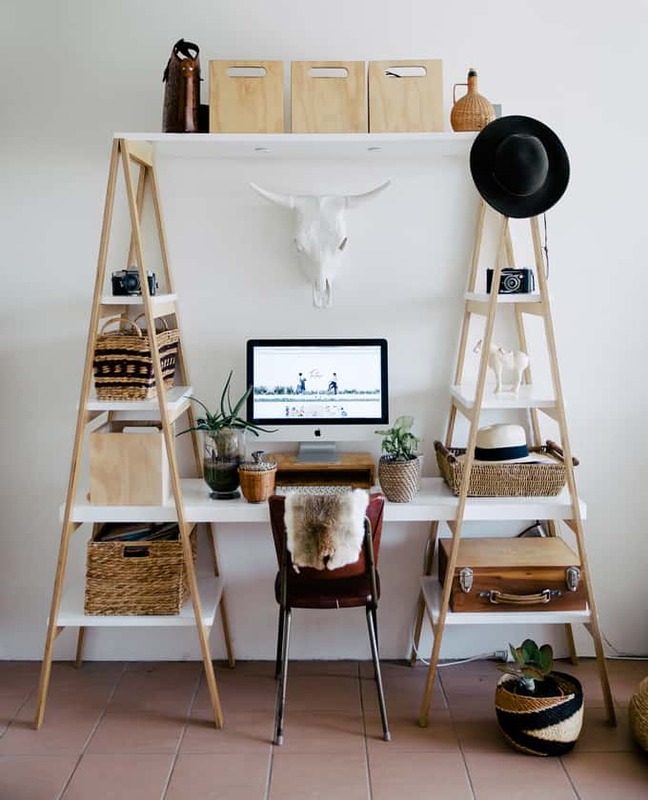 These are such cute office spaces! I’m totally with you on great light and the perfect desk! 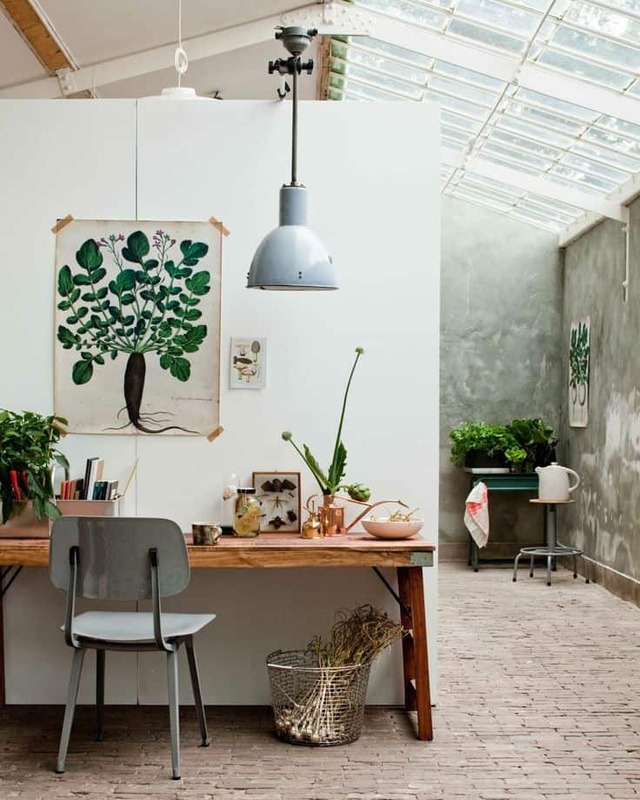 These are gorgeous office spaces – I’m currently decorating my home office. I have a few more things to get before I want to share it, though! Thanks for the tips and inspiration. 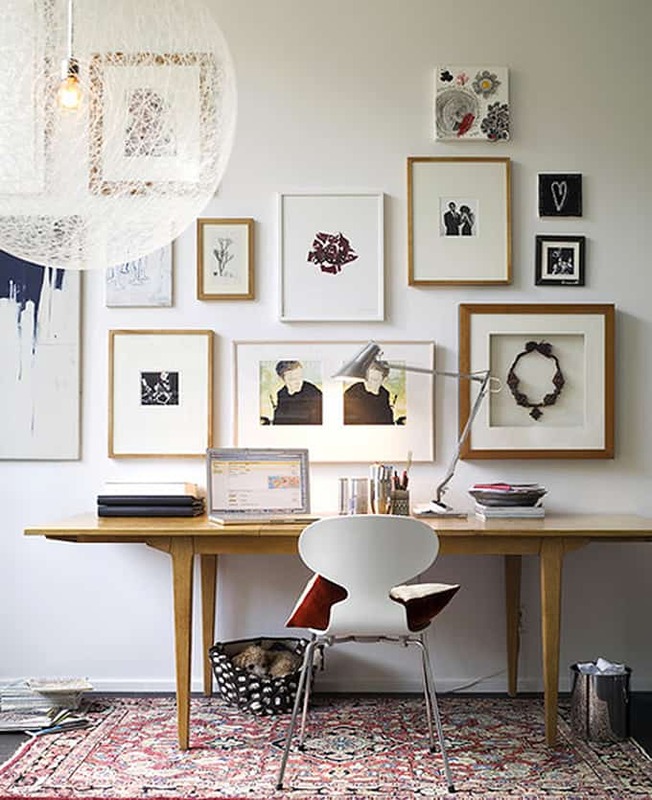 I especially love the calmness of a neutral office space. Organization is definitely key. ahhh love all these tips! 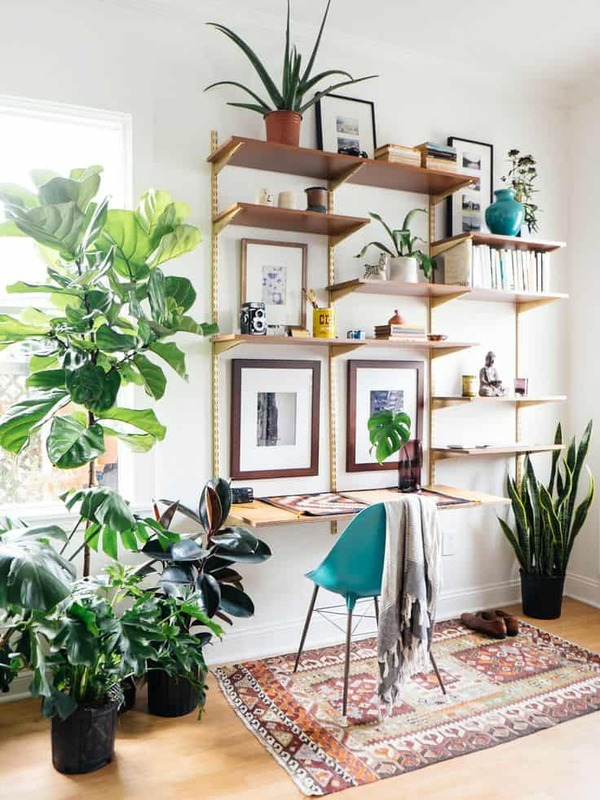 I tried to bring all of these elements into my home office! Lots of light, plants, chair covers, and so much more! I really do feel so inspired when i walk in! 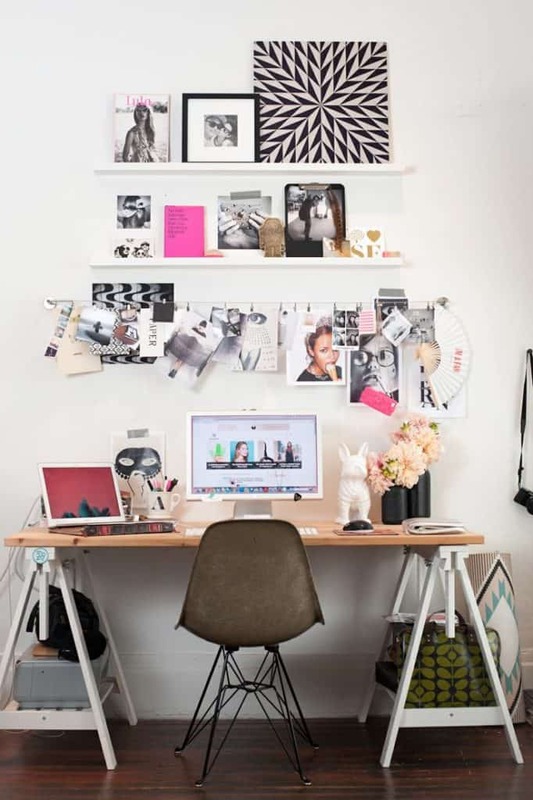 These are awesome Girl Boss office areas! I love the fuzzy chairs and overall simplicity of them! You know, I’m glad I came across this because I feel like my home office is so DRAB! Unfortunately, it doesn’t face anything pretty to look at, but my desk is by the window so I do get some natural light. I really love all these pictures and while I’d love to tell you it has inspired me to change it up by myself, but I’d much rather just pay you to come fix it all for me! LOL! Great post! A good desk and chair are so helpful! You need to be comfortable in your chair and have good posture, and a desk space is essential. My dad made my desk so it’s extra special for me!